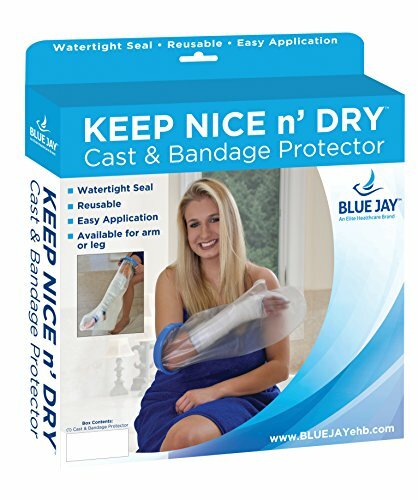 Blue Jay, an elite health care brand has crafted the bandage protector with long-lasting PVC liners and a latex-free diaphragm so you can reuse it each time, over and over again. This arm cast protector is unlike traditional plastic bags. The arm cast cover is easy to use. These can be slipped on and off conveniently with one hand. The waterproof arm protector will keep the cast or bandages dry in showers, baths and outdoor weather conditions. If you have any questions about this product by Blue Jay An Elite Healthcare Brand, contact us by completing and submitting the form below. If you are looking for a specif part number, please include it with your message.